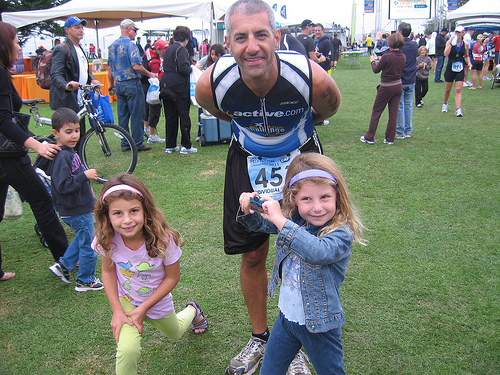 I can't believe that it's been five years since I last raised money for the Challenged Athletes Foundation, and participated in their Triathlon Challenge. However, the picture doesn't lie. The girls are so much bigger today, and my salt-and-pepper is now mostly (if not all) salt. I'm returning this year, along with my good friends Michael and Dana Mauger, as the three-headed relay Team Thor. I hope that you can help me reach my fundraising numbers - and thereby help the many deserving challenged athletes meet their athletic, and life, goals.